If you have several Linux systems – and possibly a Windows system – on your computer, you probably already have experienced the dubious pleasure of booting into a black hole embellished with an error message, like Error 17: Cannot mount selected partition, or a less than friendly prompt, like grub >. For less experienced users, panic sets in about now. Although a Google search finds plenty of tips, without background knowledge, they do not always prove effective. Additionally, you first need to know whether GRUB  or GRUB 2 is installed on the computer: The two differ in terms of command syntax, as well as the location and content of their configuration files. In other words, if you lack the ability to refloat your system with cryptic commands in the GRUB shell, you are well advised to have a rescue system in your drawer for such occasions. This can be, for example, the Ultimate Boot CD , which includes Super Grub Disk , or a specialized tool for reviving deceased boot managers, such as Rescatux . The Debian-based Rescatux rescue system for computers that fail to launch comes from the makers of Super Grub. Weighing in at around 400MB, it fits easily on a CD or a USB stick and can be booted as a Live system from either. Currently, Rescatux is available as the stable version 0.30.2 from November 2012, although a more recent 0.32 beta 1 is also on the project website. For this article, I used the 0.31b5 beta version , based on Debian 7.0 "Wheezy," on our lab computer and copied it to a USB stick with dd. As a desktop environment, Rescatux uses LXDE . In the program menu, you will find the Debian Firefox variant Iceweasel, the Wicd network manager, the JuffEd text editor, a root terminal, the XChat IRC client, and the XFE file manager. Rescatux promises simple help for complicated problems – unfortunately, users without a US keyboard layout cannot change the keyboard settings. Changing to any other keyboard layout is impossible – that would require a restart – but a restart resets your settings. Normally, however, you can achieve your targets in Rescatux using the mouse, too. Another issue I ran into on our lab laptop was that Rescatux initially failed to access the web; Wicd was unable to connect either via cable or via WLAN. To solve this, I had to create an entry for eth0 manually in the /etc/network/interfaces file and then restart the network. A reason for the refusal was not apparent; a further test on a workstation under VirtualBox immediately set up a wired network. 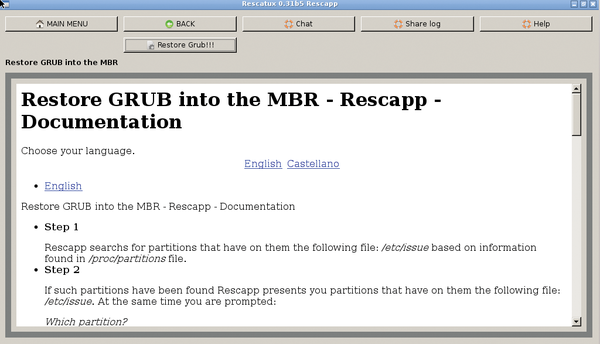 After starting, the Rescatux graphical interface, called Rescapp, appears on the screen. A menu at the top of the window divides the various rescue tools into categories (Figure 1). The several buttons, including Grub, Filesystem, Password, Windows, and Expert Tools, hide the actual tools. 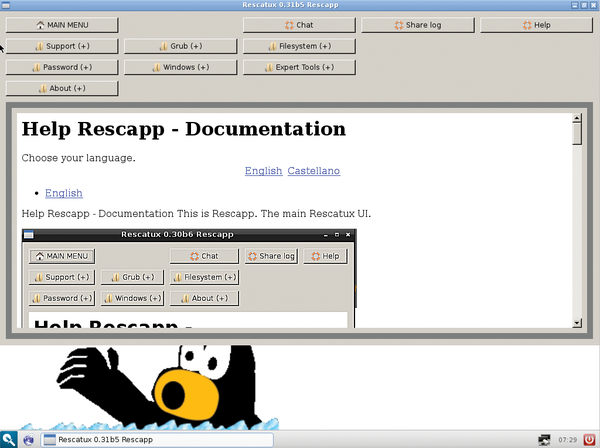 Figure 1: Rescatux's Rescapp graphical menu. The associated documentation appears at the bottom of the window to match the context of the selected menu item. It explains in detail what steps Rescatux will take and what information it expects from the user. The button indicated by !!! in the label triggers the associated repair action. The most common reason for using Rescatux is likely to be an incorrect setting in the GRUB configuration that prevents a system from booting. A further pitfall could be a lost GRUB – usually caused by the subsequent installation of Microsoft Windows, which tolerates no competition to its own bootloader. The easiest way to repair systems that do not even show you the normal GRUB boot menu is to reinstall GRUB (Figure 2). In Rescapp, you trigger this in Grub (+) | Restore Grub!!!. The routine lists the available hard disks and asks where it should install GRUB. Figure 2: Rescatux sets up the GRUB boot manager on request. In many cases, you just need to rewrite the GRUB configuration, which you can do by selecting Update Grub Configuration. If necessary, you can also specify the boot sequence, as defined in the BIOS. Sometimes things go wrong when you are installing an operating system on a hard disk drive or SSD. A boot repair disk gets your boot configuration back on its feet, quickly.